“Learning Implementation best practices are rooted in common sense, yet they are surprisingly not common practice,” writes Ed Emde, president of Wilson Learning Corp, in a recent article that appeared in CLOmedia.com. Emde believes the reason for this is the wrong focus. Rather than recording what happens in the classroom, learning leaders should pay attention to workplace practices. Answers to the questions, “Does it work?” and “Is it successful?” are the best barometers for any type of learning implementation. This advice will sound familiar to lean learning experts. Pragmatism or results-oriented criteria are at the heart of lean strategies. The goal of any learning implementation program is to improve performance. Yet according to Emde, learning leaders often feel so pressured to install the program, they fail to observe and record its effectiveness. As a result, implementation falls short of expectations. Common excuses for failed implementation can be lack of proper support, insufficient budget, or lack of time. Emde cites Michael Woodard, GE Power Services’ global learning leader, as an example of a successful learning professional who is unconcerned about these issues. Instead, says Emde, Woodard focuses on delivering the same high-quality program content to every component of the company’s learning implementation process. Emde points out that the right investment in learning implementation has a multiplier effect on results generated. In an Internet article titled “21 ideas for successful implementation of Lean Management,” Patange Vidyut Chandra offers excellent advice for ensuring long-term results for learning implementation. Citing an action-based approach, each of Chandra’s ideas is based on use of lean tools and strategies for building a sustainable lean culture. For Chandra, the goal is to establish The Lean Way as an integral part of the organization’s method of operation. 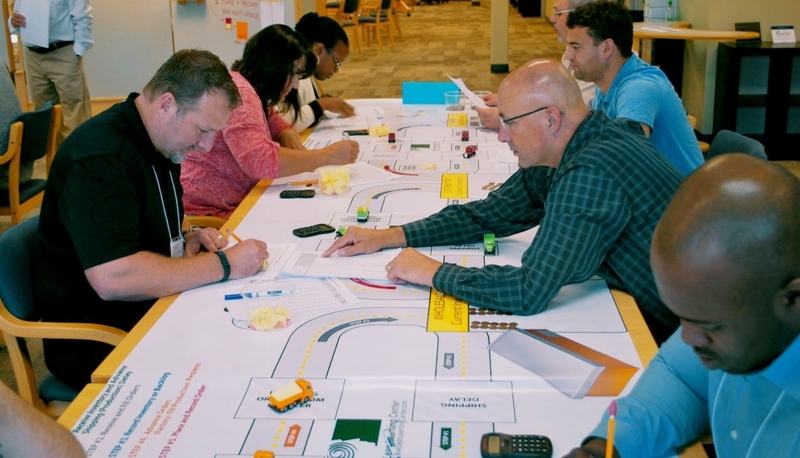 Regardless of which practice a learning leader chooses, Lean’s approach to learning implementation builds action and measured results into its on-site workshops, trainings and certification programs. “Learning Implementation, Best Practices,” by Ed Emde. CLOmedia.com, November/December 2016.